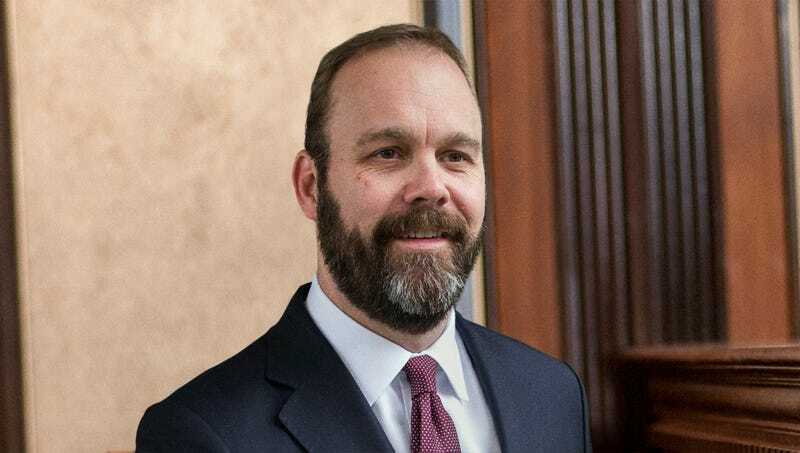 ALEXANDRIA, VA—Speaking to a packed courtroom during his second day of testimony in the fraud trial for his former boss, Rick Gates fondly recalled Tuesday when Paul Manafort found him as a hapless street urchin and taught him how to pickpocket. “I was just a pauper sleeping on the streets of D.C. when I was approached by a peculiar, top-hatted young man, as dirty a juvenile as you’d ever see, but with all the airs of a gentleman,” Gates told prosecutors, explaining that after swiping a bushel of apples from a nearby street vendor, Manafort had introduced him to a gang of ragamuffins headed by an old, shriveled wretch by the name of Roger Stone. “They taught me their ways, and before long, I was filching right proper. Whenever a rich mark would come along, Manafort would distract him while I snuck up behind him and filched his pocket-book or snuff box. Sure, we had to scamper off any time the coppers turned up, but it sure beat living in the workhouse.” Gates confirmed that his partnership with Manafort would have likely continued indefinitely had they not been caught in an unsuccessful attempt to steal Robert Mueller’s monogrammed handkerchief.